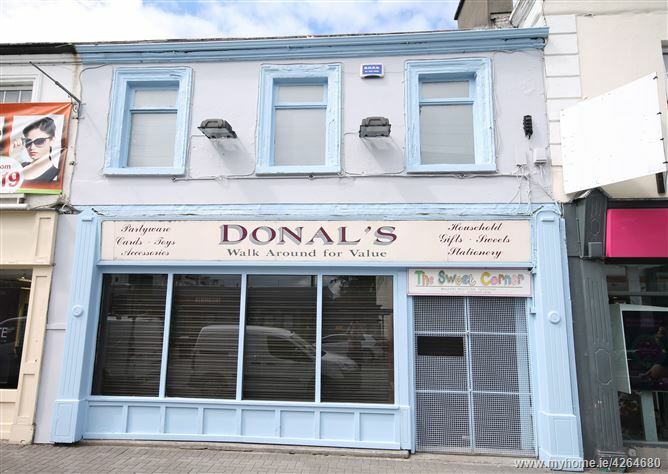 Donal’s a superb retail premises occupies a high profile location on the north side of Edward Street in the heart of Newbridge Town Centre. The immediate surrounding area is predominantly retail/commercial in nature with nearby occupiers including Penneys (opposite), AIB, Bank of Ireland, Post Office, Michael Murphy’s furniture, Courtyard Shopping Centre and Whitewater Shopping Centre with 75 retail outlets, foodcourt and cinema. Newbridge is a large provincial town only 43 km from Dublin with direct motorway and rail access (30 minutes). The town has thrived over the last 20 years with significant residential and commercial development an important service centre for County Kildare, one of the biggest traffic corridors in the Country. rapid growth in terms of both residential and commercial Existing employers in the area include Pfizer Pharmaceuticals, Bord Na Mona, Oral B, The Defence Forces, Lily O’Briens Chocolates and the Bloodstock Industry. 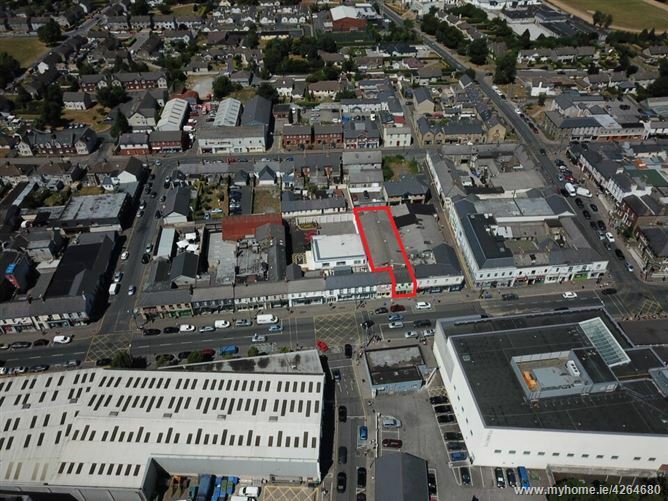 The property comprises a two storey mid-terraced retail building fronting onto Edward Street opposite Penney’s with access for deliveries available from Dawson Street. Internally, the ground floor provides open plan retail space to the front and storage space to the rear on the ground floor. The first floor provides office accommodation to the front and storage, staff canteen and toilets to the rear. The property is zoned Objective A: “Town Centre” under the Newbridge Local Area Plan 2013 – 2019. We understand that main services including water, sewerage, electricity and broadband are available to the premises. SOLICITOR: Wilkinson & Price, Naas. 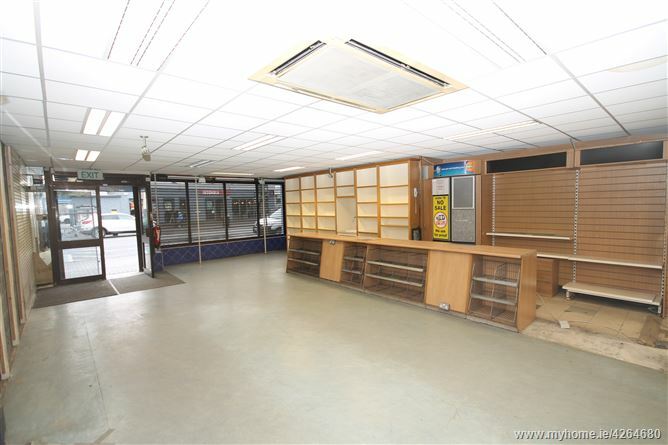 •	Superb retail premises opposite Penney’s. •	High profile town centre location. •	c. 6,275 sq. ft. (c.583.04 sq. m.). •	Close to Whitewater Shopping Centre. •	c. 7.50 metres of frontage onto Edward Street. •	Opposite Penneys and close to AIB, Post Office and Michael Murphy’s furniture. •	Suit a variety of uses (stp). 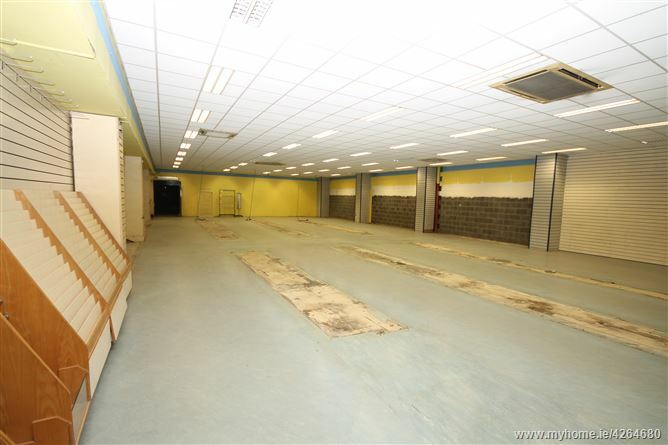 Ground Floor: 487.66 sq.m. 5,249 sq.ft. First Floor: 95.38 sq.m. 1,027 sq.ft. Total: 583.04 sq.m. 6,276 sq.ft.